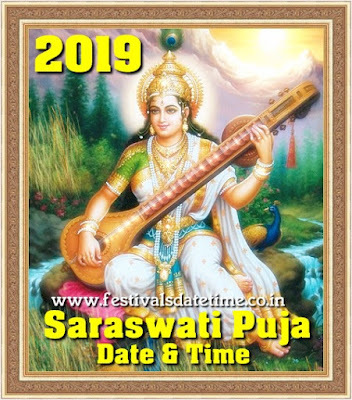 Saraswati puja is celebrated through out the country. The Goddess of knowledge is revered among the students and learned who strictly follow all the rituals to worship her. The festivities that accompany Saraswati puja is a part of the social celebrations. Young girls are seen in yellow saaries. Pushpanjali (offering of flowers along with mantras) are offered. Bright palash flowers are offerd that are a part of the worship.Young people enjoy the day with each other. Cultural programmes are staged at night. The Goddess who is the patron of music, culture and learning is revered by singers and musicians with great devotion.